From Hypable: When Divergent book 3 hits store shelves this October, we’ll also be treated to a complete box set that includes a “bonus booklet” packed with additional material. 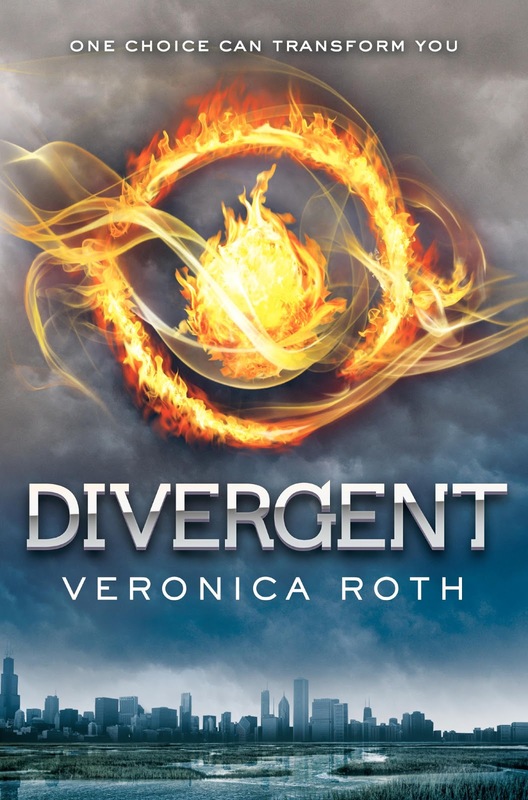 The bonus booklet is a “forty-eight-page booklet including Faction Manifestos, a Faction Quiz and Results, a Q&A with Veronica Roth, playlists, discussion questions, series inspirations, and much more,” according to Amazon. We hope it’s filled with an satisfactory amount of new, interesting material. New casting alert!! We now have faces to go with our Al, Will, and Edward characters! 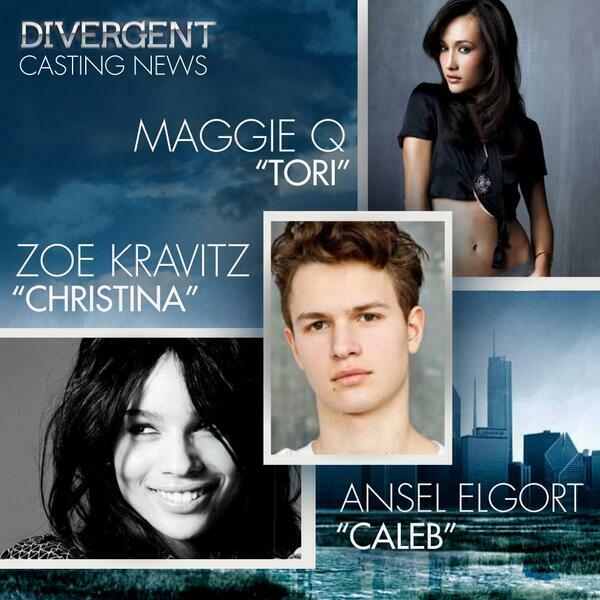 "Divergent just keeps getting better. 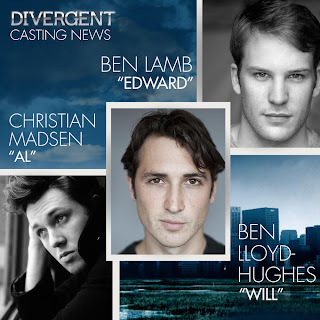 Monday, Summit Entertainment announced that Ben Lloyd-Hughes (The Hour), Ben Lamb (The White Queen), and Christian Madsen (Refuge from the Storm, and Gia Coppola’s Palo Alto) are set to join the already stellar cast as Dauntless-transfers Will, Edward, and Al, respectively. Will, of course, becomes one of Tris’ (Shailene Woodley) best friends. Besides English actor Lloyd-Hughes, who has appeared in a number of British television shows, and the Mike Newell adaptation of Great Expectations, all are relative unknowns. But, appearing alongside veteran actors like Kate Winslet and a slew of burgeoning stars in one of next year’s most anticipated films isn’t a bad way to be introduced to American audiences." We pretty much knew Kate was on-board after Summit tweetgate back in January, and now we have the confirmation! 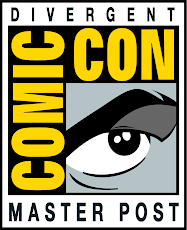 From EW: Summit Entertainment confirms (finally!) that Kate Winslet will indeed star as Jeanine Matthews in the Neil Burger directed YA thriller, Divergent. From Veronica Roth: "Okay, so you may have seen/heard rumors of this already, so it's not exactly newnews, but it is Officially Official, which means that I can tell you my thoughts. 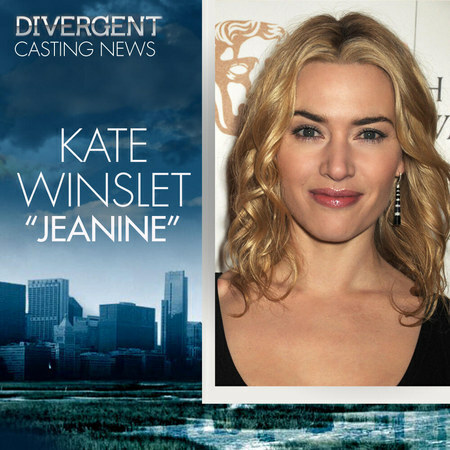 KATE WINSLET has been cast as Jeanine Matthews! What can I say? When I found out, I was floored. I grew up watching Kate Winslet in movies, whether it was Titanic or Eternal Sunshine of the Spotless Mind or The Reader, and she is an incredible actress, and I am sure that she will beextraordinary as Jeanine. I'm excited to see the complexity and depth she'll bring to the role. That was me containing my fangirling. (That was me not containing my fangirling.)" Bless you, Veronica. We fan girl-ed pretty hard so we can only imagine what it was like for you. From EW: Shailene Woodley has been offered the role of Hazel Grace Lancaster in the adaptation of John Green’s The Fault in Our Stars. From EW: Finally! 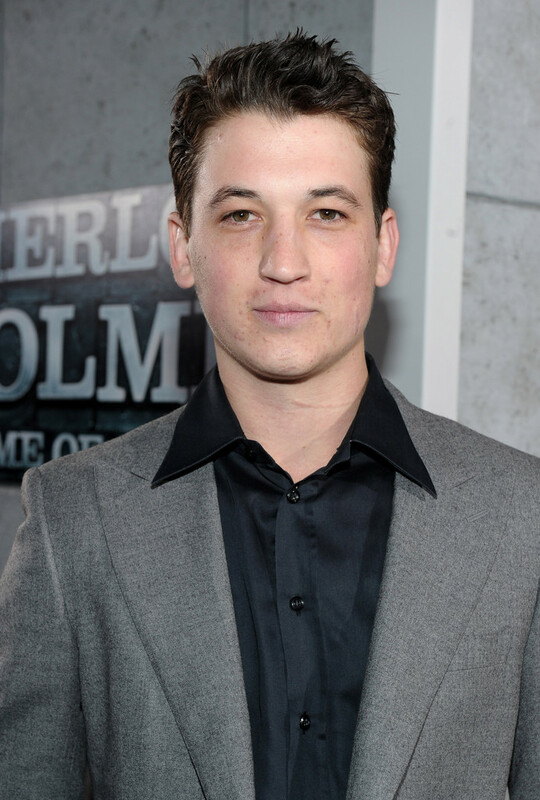 Divergent has found its male lead! Theo James has been cast as Tobias ‘Four’ Eaton in Neil Burger’s (Limitless) big screen adaptation of Veronica Roth’s bestselling novel. The movie news continues to roll out! 'Jack Reacher' and 'A Good Day To Die Hard' star Jai Courtney has joined the cast. 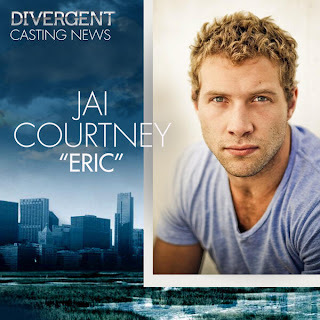 Courtney will play 'Eric', the menacing young Dauntless leader. From THR: "Maggie Q, Zoe Kravitz and Ansel Elgort have closed deals to join the cast of Divergent, Summit/Lionsgate’s adaptation of Veronica Roth’s YA novel. Q will play Tori, a tattooed owner of a tattoo parlor who is part of the choosing ceremony that divides people into factions. She ends up helping Woodley’s character, Tris. Kravitz will play Christina, a member of the Dauntless faction, which embodies bravery, and who becomes friends with Tris. Elgort has nabbed the highly sought-after role of Caleb, Woodley’s brother who turns his back on his family, part of the Abnegation clan, to be part of the Erudite clan. Douglas Wick and Lucy Fisher are producing, as is Pouya Shahbazian. The production is hoping to planning on shooting in Chicago this spring." 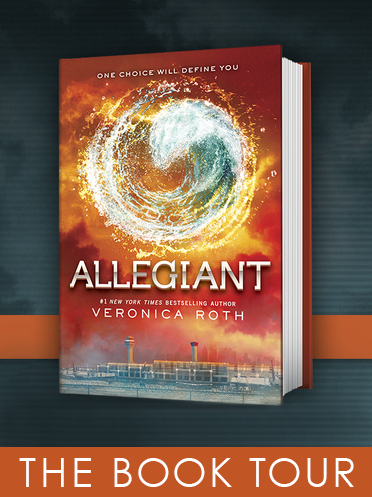 ETA: Added Veronica Roth's reaction: "Yes! I am beyond excited to be able to share this news with you at last! 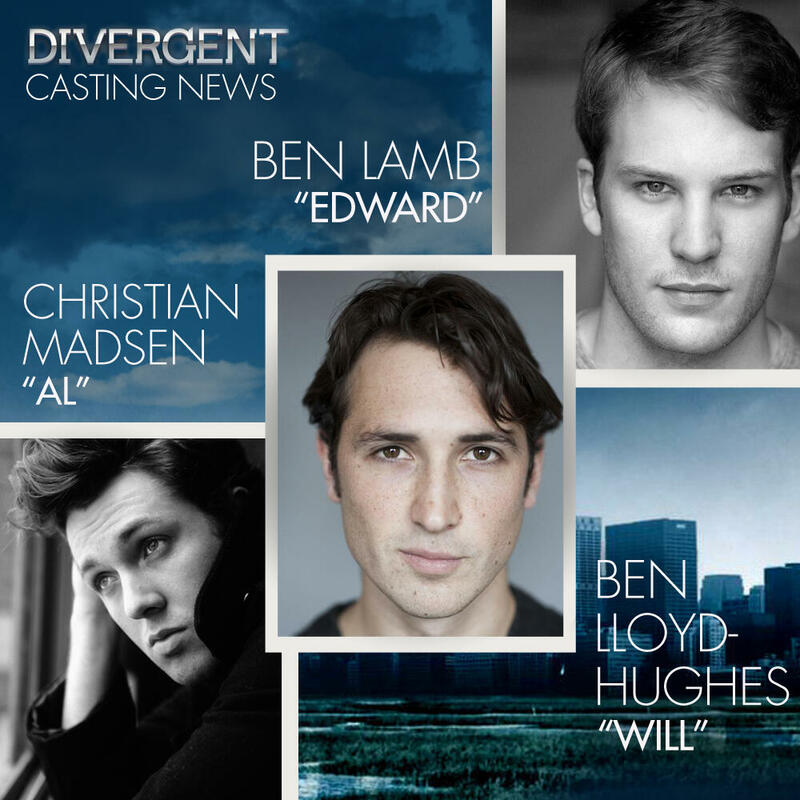 They are all extremely talented (not to mention spectacular matches for the characters in my head) and I'm so happy that they're going to be a part of the Divergent movie." 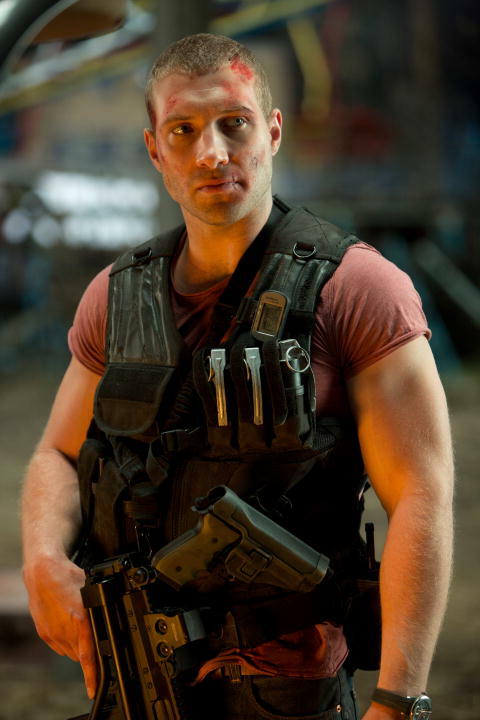 "Thank you divergent fans for being so embracing and giving me so much support already. I cannot wait to begin filming on this incredible book. It is truly an honor." 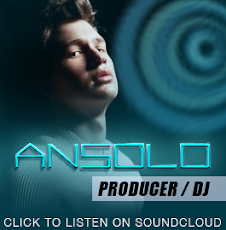 Ansel.